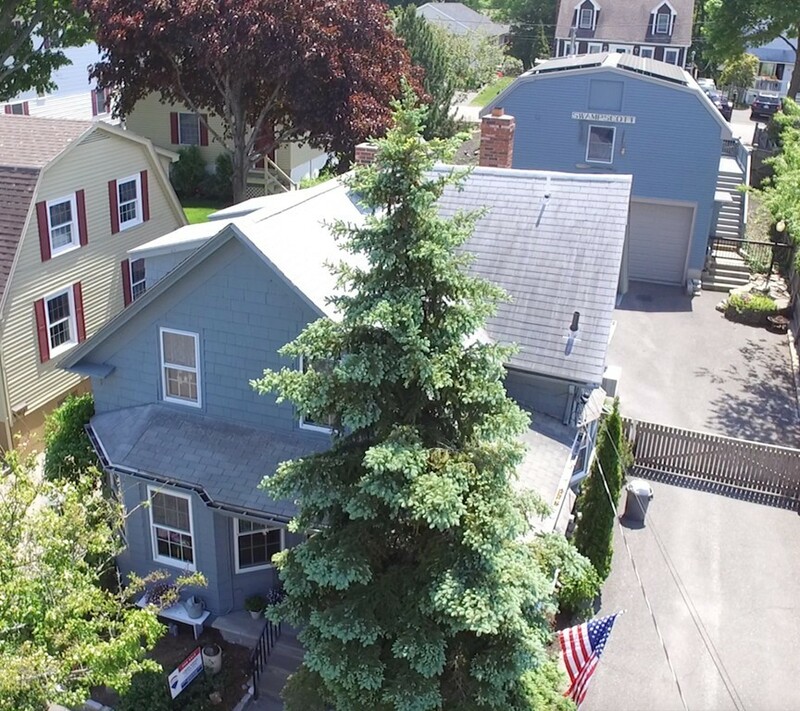 NEWLY VALUED!This is a RARE Opportunitya Charming & Well cared for 3 bedroom, 2 bath circa 1890 Colonial with a perfect blend of old and new! Period details, including exposed beams and beautiful Fir floors, blended with the features we want today--open floor plan & vaulted ceilings you'll love! Modern day amenities-- mud room and first floor laundry. Easy access into the house from low-maintenance yard. Pretty Mahogany deck with charming antique wrought-iron railings. Now here's the exciting part...An OVERSIZED 2 CAR GARAGE (26X29) and BONUS HEATED ROOM. The spacious 810 square foot open space is ideal for various home occupations, childcare facility, workshop or crafts space. And then...storage loft with additional gravel driveway off Prospect St. Pristine condition--built in 2003. You'll love being home at the top of Eastman Avenue on a dead-end street--but located within easy access to the commuter rail (less than 1 mile) & Vininin Square for shopping.